When you were in Nicaragua, you saw firsthand the many educational needs that exist throughout the country. You can help change this. Monthly giving is a convenient and easy way to support students in Nicaragua all year long. Each day hundreds of students visit one of our learning centers, attend class in a new and safe classroom, or have the opportunity to stay in school thanks to a scholarship. Your gift will continue to make all this possible. Even a small monthly gift can have a huge impact! 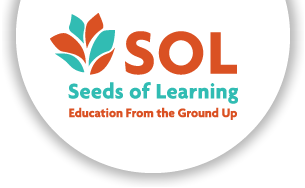 The opportunity to team up with fellow SOL volunteers to make a difference where it is needed the most! Ciudad Darío: Support our flagship Learning Resource, which is visited by over 150 students each day. Your monthly contributions will help purchase story books and reference materials, provide arts and crafts supplies, support music and dance classes, and much more. Matagalpa: The Barrilete’s Children’s Library was opened in April 2016. 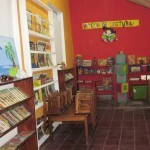 This is the only place in the entire city of Matagalpa (pop 150,000+) that provides books or library services for children. 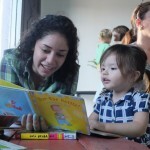 Your monthly gifts will stock the library with books, provide homework tutors, and purchase craft materials. 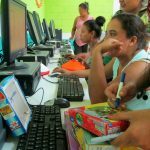 Managua: In the last few years we have worked with communities to open several new learning centers in rural communities. These provide everything from libraries to computer labs to agricultural trainings. Your monthly support will keep the doors of these centers open and help stock them with books, crafts supplies, and other educational materials.